Ellie Lavery who is 7 years old and from Antrim visited the station tonight. Ellie organised a fund raising event for LNR by growing her hair for a year. Ellie asked friends and family to sponsor her upon getting her hair cut. All monies raised would then go to LNR. We are delighted to say that Ellie raised £100 for our charity. 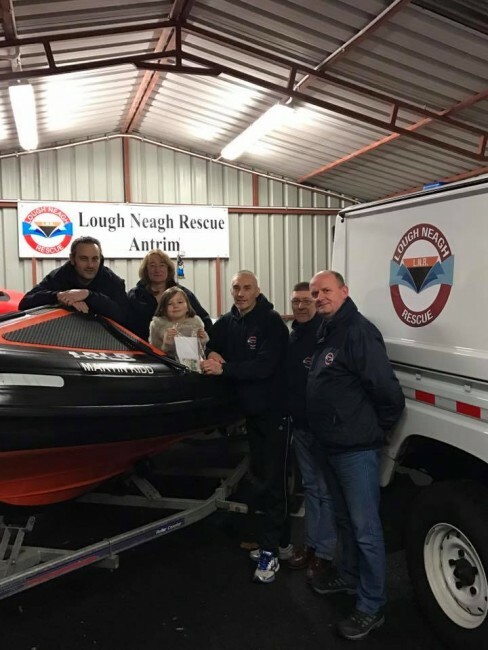 Ellie is pictured below handing over monies raised to Training Officer Ivan Crozier and LNR crew members.